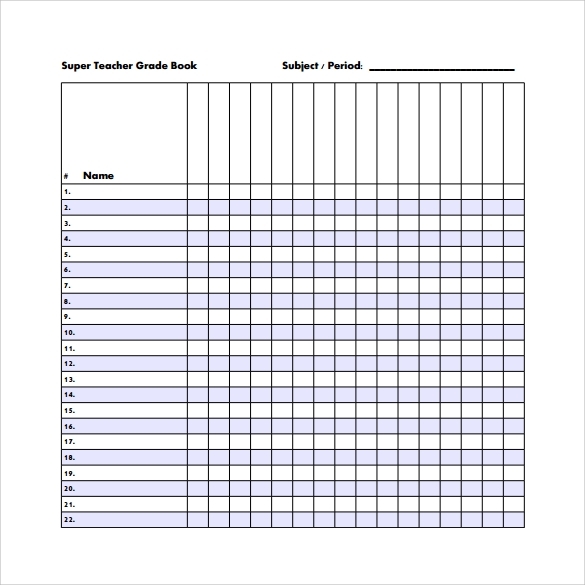 Grade book templates are mainly used in schools or universities by teachers in recording, calculating and saving their students grades. Before this is only done manually and teachers use their grade book in recording each Student Evaluation grades and manually calculate their grades, today it is online or using a Microsoft excel which is edited depending on the subject and grading system of a school. 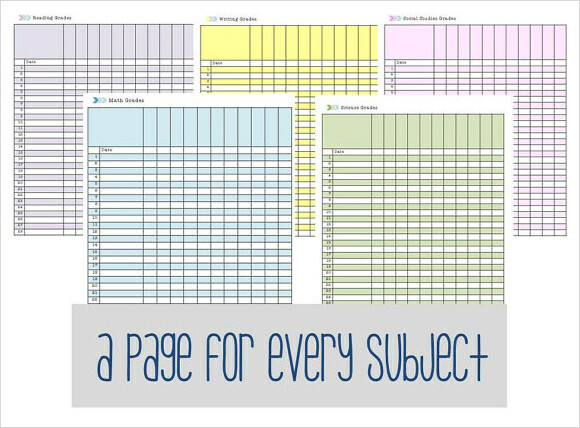 Quite true to the claim that has been made on the background theme of the template layout, this is a design that can be used for the purpose of recording grades of the students of any subject. 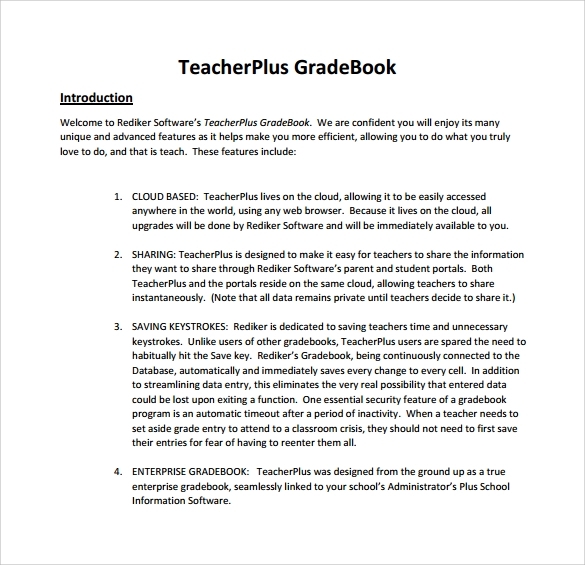 Also irrespective of the subject this is a gradebook template that can be used in any types of educational institute. 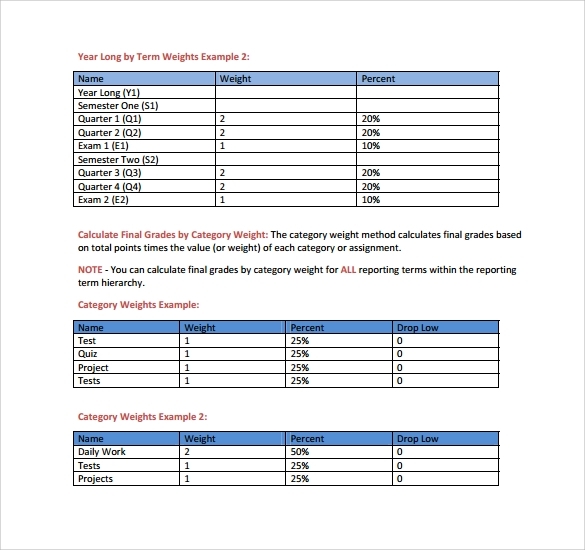 This gradebook Template is perfect to be used for any and all levels of the educational level. This is a template design that can be downloaded at any point of time with great ease. This print ready template has a great resolution that will provide a very good quality printout. This will help the teacher in the longer run. The template has been so designed that the teacher can record the marks of the student for his or her monthly performance. This one is unique in its design. This easily downloadable gradebook has a format that not just supports the information of the grade that has been received by the student but at the same time also gives valuable tips for the purpose of writing good answers. 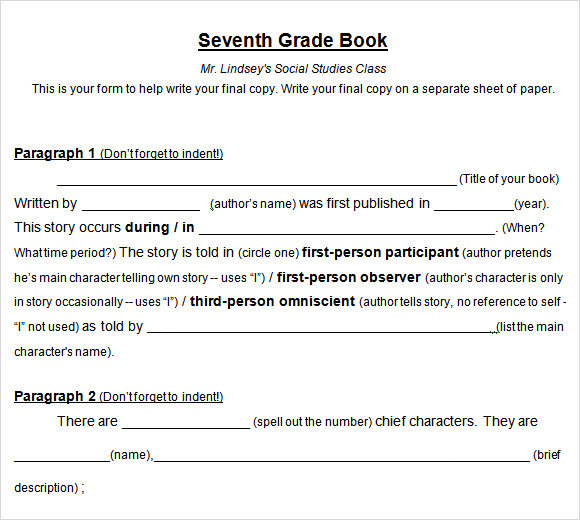 The grade book template provides tips and suggestions for improvement. This format is available in the format of a Microsoft excel Sheet. This format is very easily printable and the resolution of the template offers brilliant printouts. 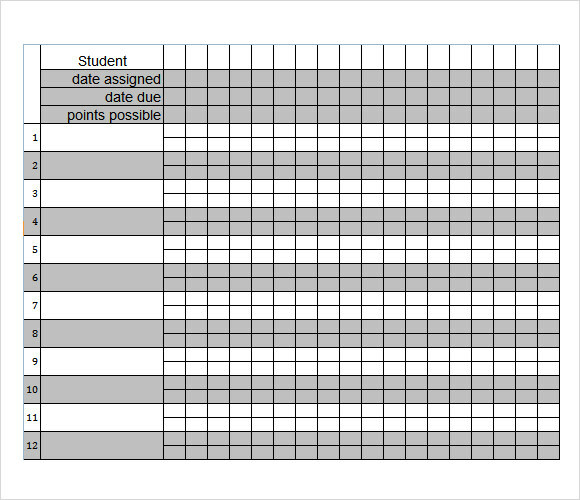 The format of the template exhibits a gradebook that has been done in the style of a grid pattern. 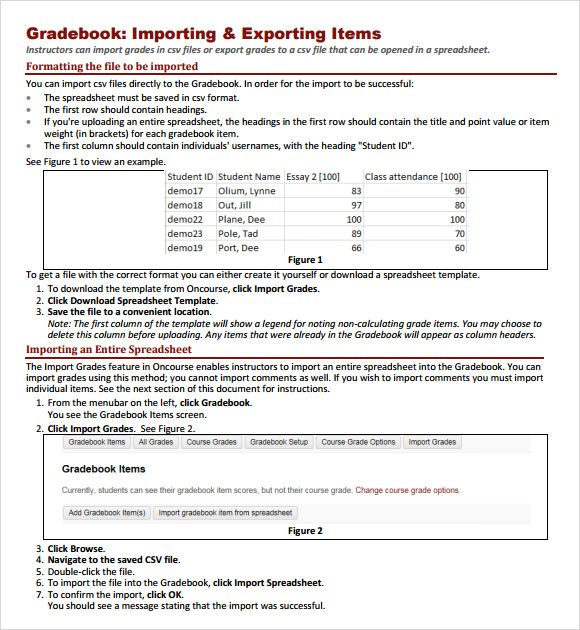 The entire format or the style of the gradebook is very clean and systematic to look at. The format of this template layout helps the teachers and the professors to not just record the marks and the grades of the students but also at the same time helps the teacher to plan that in what path will he or she exactly move ahead to make their students complete their syllabus. This is a more of a plan book that just a mere gradebook. Provided in the format of PDF, this template has an array of some of the most remarkable features. It is fully editable and is very easily navigable. This allows the user to feed information into the format with utmost ease and convenience. The format is very easily downloadable and ready to print. 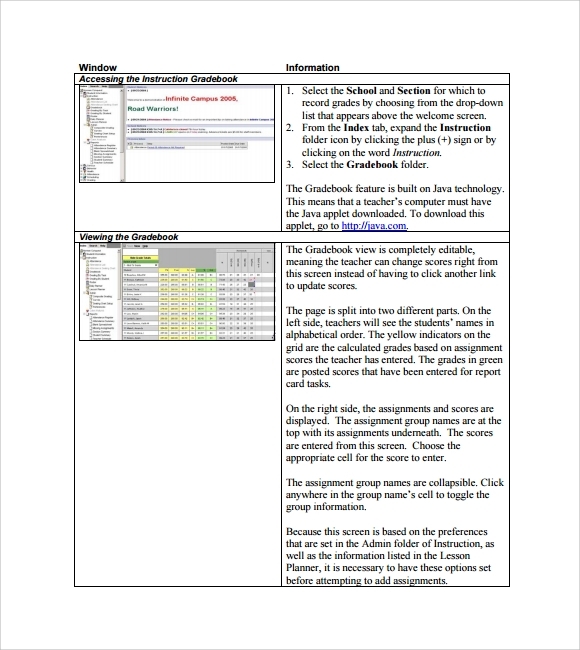 This is a gradebook design guide that can be used by a wide array of levels of teachers. Right from starting with the teachers of junior classes in schools to the professors of the colleges and the universities can make use of this template layout. The simplicity of the template is the main catch that makes it so utterly suitable for any level of students and teachers. This template should be one of the best guides and friends of the teachers. This gradebook Template provides the teachers with a whole lot of tips and guidance’s through which they can help the students in their studies and the teachers themselves can be better prepared for their classes. A good gradebook is lot more than just a document that helps to record the grades of the students. It helps the teachers to employ better ways and patterns of teaching.